Rockies 1, Bluejays 0. This is what interleague play is all about. The Toronto-Colorado rivalry: just good, old-fashioned hatred. Rockies' righty Jason Hammel was excellent again-8 IP, 6 H-and after a rough start to the season has struck out 24, walked eight and allowed three earned runs combined in his last four starts. Mets 3, Orioles 1. Hisanori Takahashi is making a case for greatest Takahashi in baseball history after his seven innings of one-run ball. Hisanori has now pitched well in three of his five starts after moving into the rotation May 21. 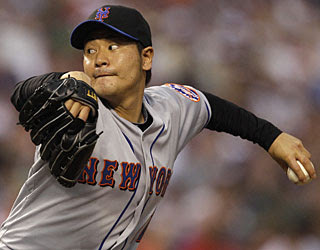 The other Takahashi, Ken, also pitched for the Mets and in 2009 had a 2.96 ERA in 28 appearances. It's neck-and-neck. New York has won consecutive road games for the first time since last July 25-26. That's bad, but it's not nearly as bad as: the Orioles since 1998. Devilrays 6, Marlins 5. Carlos Pena homered in his sixth consecutive game, a franchise record and two shy of the ML record held most-importantly by Don Mattingly, and some others. Giants 5, Athletics 4. The last time Barry Zito faced his former team May 21, he allowed six earned runs in 6 2/3 innings. 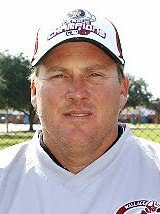 Saturday, the southpaw was much-less Irabuian, giving up solo home runs to Matt Carson and Adam Rosales in seven strong innings. Zito knows now that you just don't mess with Matt Carson (949) and Adam Rosales (312).